Sunnova Energy has rolled out its new national residential solar insurance offering in Southern California, with plans to continue across the country early next year. Sunnova Protect provides solar owners the opportunity to purchase multi-decade coverage, inclusive of monitoring, maintenance and repair services for their solar systems. Apart from these product warranties, a system performance guarantee is another premium option. Sunnova will extend Sunnova Protect to additional markets beyond Southern California over the next few quarters, making it available for dealer networks in early 2019. Thus far the company is active in 22 states. 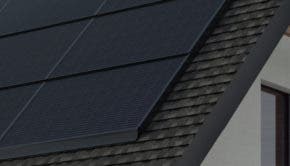 Houston-based Sunnova already has some 60,000 installation customers covered by the company’s 25-year service warranty, and now the availability of the service is being extended to any homeowner who owns their solar system. The plans provides proactive monitoring and system diagnosis to prevent unexpected solar outages and to provide protection against most out-of-pocket expenses for maintenance, equipment repairs, and replacements. Basic solar insurance already comes with a system purchase. A solar system has warranties for performance and equipment operation. 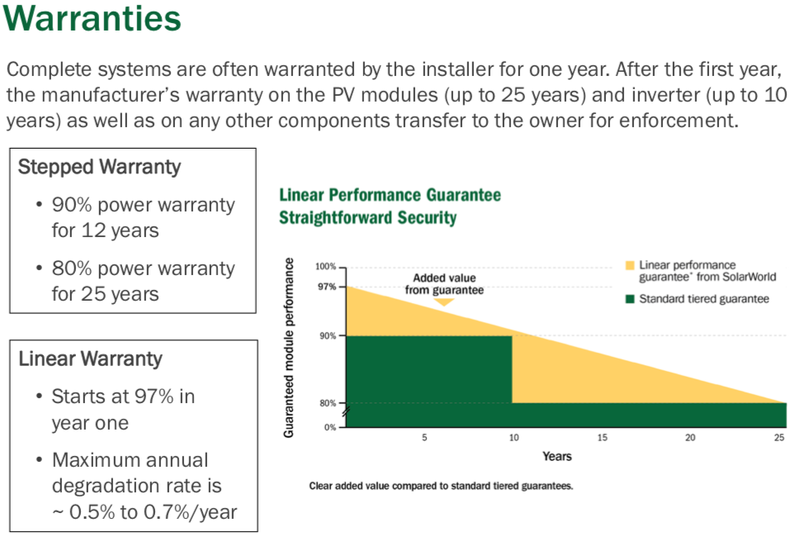 A solar panel performance warranty will typically guarantee 90% production at 10 years and 80% at 25 years, according to the U.S. Department of Energy. An equipment warranty — for other components like inverters — will typically guarantee 10-12 years without failing. The Sunnova Protect servicing plans offer three different coverage options, Basic, Premium, and Platinum, with term length options of 5, 10, or 20 years. “With the Sunnova Protect Service Platinum Plan, we’ll guarantee that your solar system will produce within 95% of the energy promised in your Service Plan agreement, or we’ll credit you the difference,” the company says. While the Platinum plan may generally cost 20% of the total cost of the system over the 20 year lifetime, the potential performance loss for a solar owner without a plan could easily surpass the 20% mark. “One outage could easily cost a customer without an insurance plan $2,000 or $3,000, and if a system goes down, it can be out 100%,” says Michael Grasso, the chief marketing officer for the company. “There are hundreds of thousands of orphaned solar customers out there, whom we would like to serve,” he adds. “This is the first time that a residential solar and storage service provider has brought to market a service-only offering that provides solar owners with a 5-, 10- or 20-year warranty on systems the company itself did not install,” he said William J. (John) Berger, the CEO of Sunnova in a statement. Once a rooftop solar panel system is installed on your home, it is considered part of your home under most home insurance plans, states Energy Sage, a solar sales comparison engine. “Your insurance policy’s coverage limit is the maximum amount that it will pay towards a covered loss. In 2018, the cost of an average 5-kilowatt solar panel system was $10,990 after tax incentives and rebates,” the group explains. Loss of energy generation can also be covered by insurance. “An addition to a standard policy, also called an endorsement, may be needed if a homeowner sells surplus energy to the local power grid and that income is lost when there’s a power outage caused by a covered peril. A tree falling on their roof, for example, could damage a solar installation, requiring the homeowner to temporarily buy the power they would have produced from the sun from another source,” says Insurance brokerage Insuramatch. In some cases, solar can lower homeowner insurance costs. “Some insurers lower rates by 2-5 percent regardless of the type of installation, based on the assumption that green homeowners are less likely to file unwarranted claims and are more responsible in general,” Insuramatch observes.